Doing a deal with an affiliate? Existing lenders or debtholders will require assurances that the transaction is carried out in arm’s-length fashion. The concept of an “arm’s-length” transaction is essential to defensible corporate governance and fundamental notions of fairness. The goal is simple: it is to ensure that the parties to such transactions are acting in their own self-interest and are free from outside influences that could distort the underlying economics of the transaction to the detriment of one of the parties involved. Yet, so-called “affiliate transactions” — defined broadly as transactions between one party and a second party that it controls, is controlled by, or with which it is under common control — can be difficult to assess under the arm’s length construct. Fundamentally, does it even matter if an affiliate transaction is executed in an arm’s-length manner? After all, the parties to such transactions are theoretically aligned, given the control elements described above. The answer is a resounding “yes,” especially when third-party lenders are involved. A company’s existing lenders or debtholders have a vested interest in ensuring that affiliate transactions are carried out in arm’s-length fashion and do not syphon value out of the debtor. Almost without exception, debtholders have incorporated an important protection mechanism into credit agreements and bond indentures to prevent self-dealing: the transactions with affiliates’ covenant. Simply put, this covenant requires affirmative assurance — from an officer of the debtor, its board of directors, or an independent financial adviser — that an affiliate transaction is, from a financial point of view, fair to the debtor. Covenants that govern transactions with affiliates are front and center, partially because transacting with an affiliate is an attractive alternative to finding and negotiating with a third party. In fact, affiliate transactions have become particularly common in situations requiring fast access to capital, like asset sales to generate liquidity, debt for acquisitions, and equity infusions to cure credit defaults. The pace of such affiliate deals will likely accelerate, especially in industries experiencing economic stress, such as energy and retail. At the most basic level, lenders and other debt holders require the transactions with affiliates’ covenant to protect their investment or collateral from value diminution that could otherwise occur if an affiliate transaction is not carried out in an arm’s-length manner or otherwise does not represent a transaction that is fair. Affiliate transactions that exceed an even higher threshold be supported by an opinion from an independent financial adviser that the transaction is fair to the debtor, or the relevant restricted subsidiary of the debtor, from a financial point of view. For deals that invoke the transactions with affiliates’ covenant, a fairness opinion can serve two important purposes. First, it can allow the debtor to comply with the terms of its debt agreement. Second, assuming the fairness opinion is backed by a rigorous analysis prepared by a qualified firm, it can protect the board of directors and the person signing the officer’s certificate in the event there is a claim that the transaction was not fair. The fairness opinion provider is typically engaged by the debtor to issue the opinion to the debtor’s board of directors, which is permitted to provide an informational copy to the credit agreement administrative agent, the bond indenture trustee, or both. Asset sales or purchases: Affiliates often engage in transactions in which an asset — such as a business, real estate, or other fixed asset, or intellectual property — is transferred. The opinion provider must assess the value of the asset as well as the consideration paid for the asset in order to issue its opinion. Debt issuances: Affiliates regularly lend to or borrow from each other. In these transactions, the opinion provider must analyze the credit quality of the debtor in order to assess appropriateness of the proposed interest rate and other costs of the debt. Consideration must also be given to other material economic terms of the debt, including covenants, events of default, and redemption provisions. Services agreements: Affiliates frequently enter into agreements covering a range of services, including marketing services, property management, and back-office support. Opinion providers must assess the arm’s length nature of these agreements. This is typically done in reference to similar third-party agreements. Leases: In a situation where a company leases property from an affiliate, the opinion provider must analyze the economic terms of the agreement, including the rent payment, escalators, term, and purchase options. In recent years, we have seen an uptick in requests for fairness opinions compelled by the debt covenant that governs transactions with affiliates, in part because there is simply more debt outstanding. 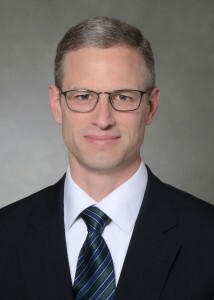 In addition, more companies may be seeking to mitigate risk by obtaining a fairness opinion from an independent financial adviser to support their officer’s certificate or their board of directors’ resolution that an affiliate transaction is fair, even if a fairness opinion is not technically required by the covenant. Going forward, economic uncertainty will likely fuel an increase in corporate transactions among affiliates, further increasing the number of fairness opinions required to comply with the transactions with affiliates’ covenant. David Turf, CFA, is a managing director of transaction opinions at Duff & Phelps.